Another installment in one of the most popular racing game series, developed since 1995 by Electronic Arts. Criterion Games, a team popular mainly for the Burnout console series, was entrusted with the task of creating this installment. Need for Speed: Hot Pursuit is another installment in the well-known series of racing games launched in 1994 by Electronic Arts. It was developed by Criterion Studios, responsible for Burnout. As usual, in the game there are the fastest and most expensive licensed car models. 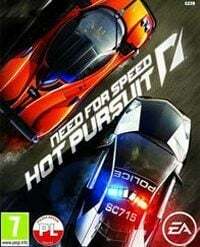 Need for Speed: Hot Pursuit refers to the two installment in the series of the same name and represents a new approach to the subject of chases with the police. In the game, we get extensive campaign which takes on both the police and the fleeing drivers. The developers did not present an extensive plot, because they believed that races were more important. The career on both sides of the conflict on the highway consist of dozens of challenges and scenarios. The gameplay itself is arcade, full of spectacular scenes and shots (when we push or eliminate other vehicles) and special skills. The police may, for example, put up spikes on the road, while the criminals may interfere with the radars. An important element of Need for Speed: Hot Pursuit for PC, PS3 and etc. is the multiplayer mode and game integration with the network. An extensive system called Autolog is responsible for everything. It collects information on our results and compares them with the achievements of our friends. This allows you to quickly find new forms of entertainment - for example, we can try to beat the record crammed a few minutes ago by another player. Autolog also allows you to share pictures and videos of races, post comments, or to play together with your friends. Visually, the game looks really good and can surprise with the great weather effects, a large open world (Seacrest Country), changes the time of day or night, and spectacular lighting. Need for Speed: Hot Pursuit for PC, PS3 and etc. has a lot of licensed cars. Each one of them was made with great attention to detail.